Young Riley is dealing with a variety of different emotions - little does she know that her emotions have been working together in relative harmony since she was born. Joy, Sadness, Fear, Disgust and Anger love their girl Riley, but when Joy and Sadness accidentally wreak havoc in Riley's life, they must work together to make things right again. 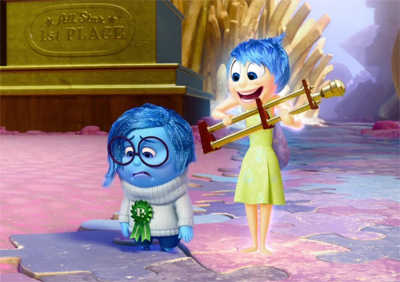 How well do you know Inside Out, Pixar Animation Studio's latest hit?